There are many interpretations and meanings of the word “care”. Definitions of the noun Care are: an effort made to do something correctly, safely, or without causing damage, things that are done to keep someone healthy, safe, etc., things that are done to keep something in good condition. The definition of the verb Care is to “feel” interest in something, to be interested n or concerned about something, to feel affection for someone, to want to do something. For many the meaning of caring is displaying kindness and concern for others. In the health care field the word care is more often used to describe a physical task giving care, which is the act of providing care or assistance to an individual, for example assisting with feeding, bathing or dressing or a person under hospital care. The word care is used freely in the business world and specifically in the healthcare industry with phrases like “we care”, but for many of us receiving health care services today, the genuine “feeling” of concern or interest in the person or individual is often missing. 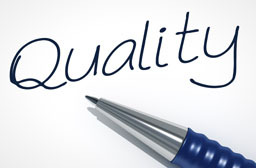 Quality of care is hard to measure. It not only involves the physical tasks that need to be accomplished but also addresses the emotional needs that make someone feel cared for. We believe the emotional part of this comes from mutual respect and developing relationships which is often hard to accomplish in today’s health care system. For example, if one has to go to the hospital you will see a hospitalist who most likely does not have a relationship with you or your loved one and does not know your entire medical history and will see you for a few days before the next hospitalist is on duty or if you use a home care agency to provide a caregiver at home you might have experienced frustration with getting different caregivers limiting the ability for you and your loved one to build a trusting relationship and getting the best quality care. Quality of care is largely dependent on the ongoing relationships we build and the sense of responsibility and accountably of each person takes in the relationship. It is easy to see how quality of care is lacking in the hospital and other settings because of the lack of continuity and relationships among and between the staff, administrators and patients. 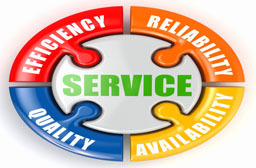 When looking for any type of service whether health care, financial services, faith related services etc. it is important to find a team that you can trust that values relationships and believes in taking responsibility and accountability for the service they provide and expect to continue to provide over an extended period of time. In respects to caregiving, the relationships we build are so important because the best quality of care is dependent on continuity and having a small familiar team of caregivers that communicate regularly with one another and work as a team. 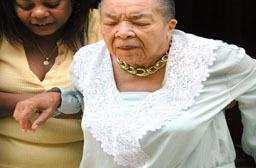 Types of Caregivers - There are many types of caregivers; family caregivers, private caregivers, agency caregivers. Caregivers are needed when an individual has a change in health, onset of a new illness or medical condition, memory loss, frequent falling in the home or some type of disabling condition. 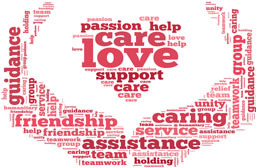 Caregiver Services - In many cases the caregiver has many roles; providing assistance with personal care like bathing, grooming, dressing, feeding, managing medications, household chores, meals and even assisting with bills. In addition, caregivers are often the main communicator for the patient and are responsible for arranging medical appointments and talking with doctors and implementing the doctors’ orders. 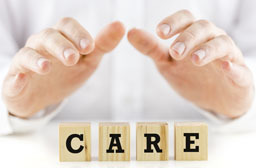 Undervalued Role of Caregiver - The role of the caregiver is often undervalued. We often see one family member assume a full time care giving duty, many times while still holding their own job. This becomes increasingly challenging as the needs for their loved one increase, for example needing to wake up at night to help the loved one. Not getting adequate sleep can overburden the physical and emotional wellbeing of the caregiver. 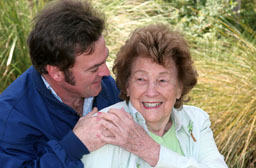 In addition to the physical and emotional strain, many family caregivers give up a significant amount of their time and personal life to care for the loved one without being compensated.While many family members try to tough it out, it may be more practical to investigate other options such as trying to build a support system of additional caregivers (family, friend or paid caregivers like a PCA or home attendant) to provide some respite for the main caregiver or look in to alternative settings like Residential Care Homes. While it is difficult to decide when the right time is to make a transition from home to another setting family caregivers need to take into account the stress and burden caring for a loved one at home can have on the family relationship. Many under estimate the emotional, financial and social costs the family care giver experiences while balancing their love and duty as a caregiver. The caregiver finds they have less personal time to maintain their own personal relationships and identity and their identity blends into that of the person they are caring for. This can be devastating for the caregiver when the loved one passes on, leaving the care giver feeling lost. It is important to consider all aspects of how the caregiving process works paying attention not only the needs of the loved one but the needs of the caregiver as well now and in the future. When to Get Help - Many people feel the most important thing is staying in their own home. 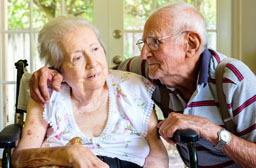 Staying at home can be a short term solution, especially if there is a good team to give each caregiver enough respite, but in most cases it is likely better for the loved one and the family caregiver to find an alternative that provides a family like environment and family care team, like in a Residential Care Home. The supportive extended family setting that a Residential Care Home provides helps provide emotional support not only for the resident but for the entire extended family. In a family style Residential Care Home setting the residents family and friends can continue to visit and be active in their lives but spend more time enjoining the time spent without the added stress of all of the caregiver duties. 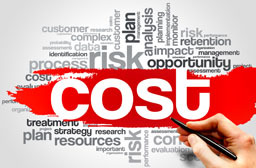 While we have already touched upon some of the emotional and social costs for family caregivers who give up their time and energy to provide all the care needs to their loved one many times without being financially compensated, there are other significant costs to providing care at home. Paying for outside caregivers from an agency can be costly. The cost usually starts at $25/hr. with a 4hr minimum. That is $ 100 a day or $3,000 /month for only 4 hrs. of care a day. 8 hrs. /day would be $200/ day or $6,000/month. 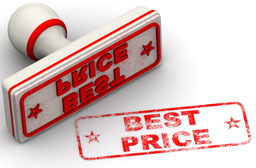 One can see as the care needs and hours go up so does the price. 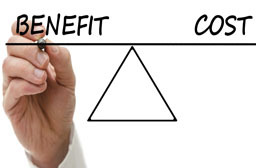 Unfortunately, the exorbitant costs of outside caregivers makes this choice very difficult to maintain for the long term. 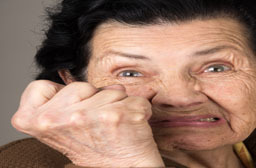 In addition to the financial costs there is often frustration and disappointment with frequent changes in caregivers and limits on what some agency caregiver can do, for example many are not able to administer medications. Similarly Adult day care provides limited care and supervision, 5 days a week, Monday thru Friday for a cost of $75- $100/day or $1500- $2000 month. Because most Adult Day Cares are closed on weekend the family needs to provide the care on these days, eliminating or reducing any free time for the family caregiver. When any family needs to start providing care for a loved one it is important to plan ahead for Respite Care and a more permanent long term care solution. We suggest that all families spend time trying to find Residential Care Home that provides family like care as an alternative to In-Home Care and Adult Day Care. The average cost of Residential Care Homes is $3,000 per month, which includes all of the personal care assistance, medication management, meals housekeeping, and laundry. This is a good alternative to Adult Day Care, in that for the same cost you could have your loved one care for during the day and still bring them home at night or if needed they could stay overnight for the same cost. This option builds continuity of care and relationships knowing your loved one can receive any amount of service based on what is needed and allows an easier transition to staying in a Residential Care Home easier because you and your loved one have already built relationships and are familiar with the setting and the people providing the care.In all cases, it is important to meet and talk with every member of any care team you are hiring form the doctor, nurse, managers, to the direct care givers. Be mindful of how their system works and how they treat each other and provide service to their patients, residents and families before you make this expensive and life changing decision.